The writer has done a good job in splitting the “exam skills” equally so that you can spend 20-30 mins per day reading to finish each skill. The book is clear and simple, but little bit lags on practical & labs side. 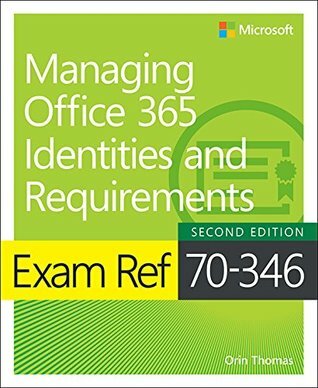 Sign into Goodreads to see if any of your friends have read Exam Ref 70-346 Managing Office 365 Identities and Requirements.